They invented the jump shot. Widened the lane. Integrated the game, thank God. When the NBA gathered its 50 greatest players at the 1997 All-Star Game in Cleveland to celebrate the 50th anniversary list it created that fall, everyone from Paul Arizin and Wilt Chamberlain to Michael Jordan and the youngest and then most controversial selection, 24-year-old Shaquille O’Neal, were feted for the sublime basketball they played and what they meant to America’s game. 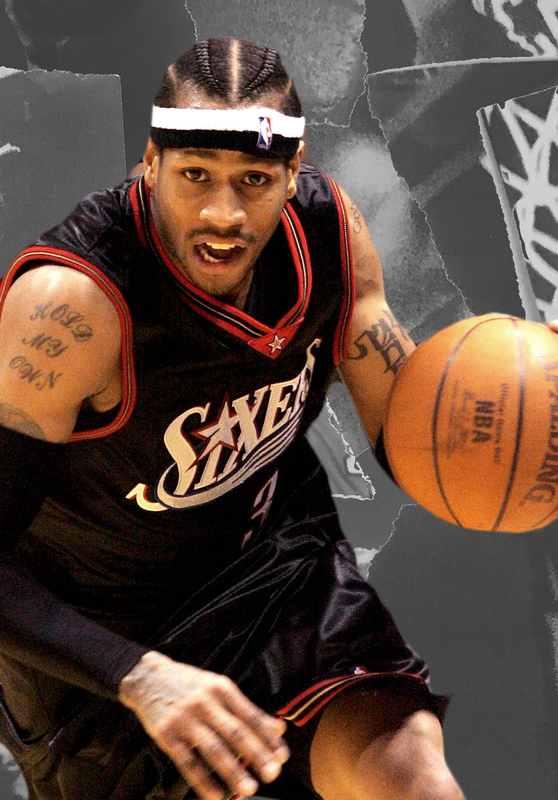 But time passed — and Allen Iverson started crossing up dudes nightly. Kobe Bryant, the self-proclaimed “Black Mamba,” became a killer in the clutch. And LeBron James grew up to levitate over the whole damn league, the first to elicit authentic greatest-of-all-time talk after Jordan. After two decades, it’s time to update the org chart. Call human resources, because we’re going to make some cuts. Nearly 20 members of The Undefeated staff — led by senior NBA writer Marc Spears and senior writer/columnist Mike Wise, with a combined 45 years of experience covering the league — have updated the NBA’s official 50 Greatest Players list from 1996 with our own version: The Undefeated’s Top 50 NBA Players of All Time. We added 14 players from the past two decades while deleting an equal number from the NBA’s earlier list, a decision made after hours of conversation and further deliberations by email and phone. Hall of Famers Shaquille O’Neal, Isiah Thomas, Bill Walton, Dominique Wilkins and Earl Monroe, among other former players, were asked to comment on The Undefeated list, along with retired NBA writers Harvey Araton, David DuPree, Jack McCallum and Roscoe Nance. (Araton, DuPree and McCallum are recipients of the Naismith Memorial Basketball Hall of Fame’s Curt Gowdy Media Award.) However, none participated in the voting. The common thread in our voting mirrored the dramatic changes in the game over the past two decades or so, from an inside-out, big man’s league to a guard-dominated, chuck-it-from-the-parking-lot festival. Just as a for instance: The Golden State Warriors averaged 31.2 attempts from beyond the arc in 2016 — 25 more per game than the Showtime Lakers, then the team with the most 3-point attempts, averaged in 1988. From left: Dave DeBusschere, Wes Unseld and Robert Parish. Gone are a group of centers and power forwards who specialized in fierce rebounding on both ends and a soft touch from 5 feet in. DeBusschere, Walton, Robert Parish, Wes Unseld and Dolph Schayes were all victims of the game that time forgot. Nine of the players we added were guards, four were point guards, and two of the three 7-footers chosen employed jump shots from 15 feet and beyond as their primary weapon. 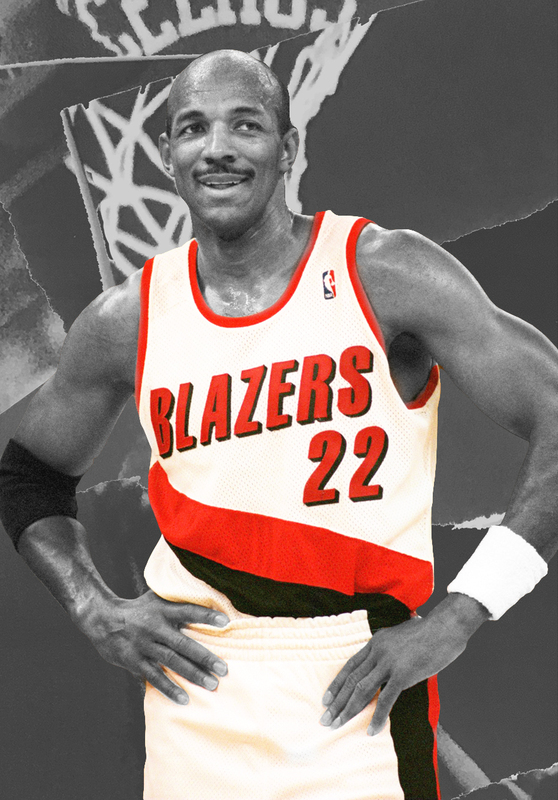 We take no pleasure in telling many of your childhood idols to walk out of history’s greatest gymnasium — including Clyde Drexler, a lifetime member of Phi Slamma Jamma, and “Pistol Pete” Maravich, rest his playground soul. But we’re equally excited to welcome 14 of the greatest players of the past 20 years to join 36 mainstays from the earlier list, to a team truly representative of the moniker Top 50 NBA Players of All Time. Tim Duncan, Kobe Bryant and LeBron James were stone-cold locks. We were nearly unanimous about adding Allen Iverson and three Hall-of-Famers-to-be whose longevity is as impressive as the originality of their games: Kevin Garnett, Dirk Nowitzki and Dwyane Wade. Jason Kidd and Kevin Durant made the most sense. 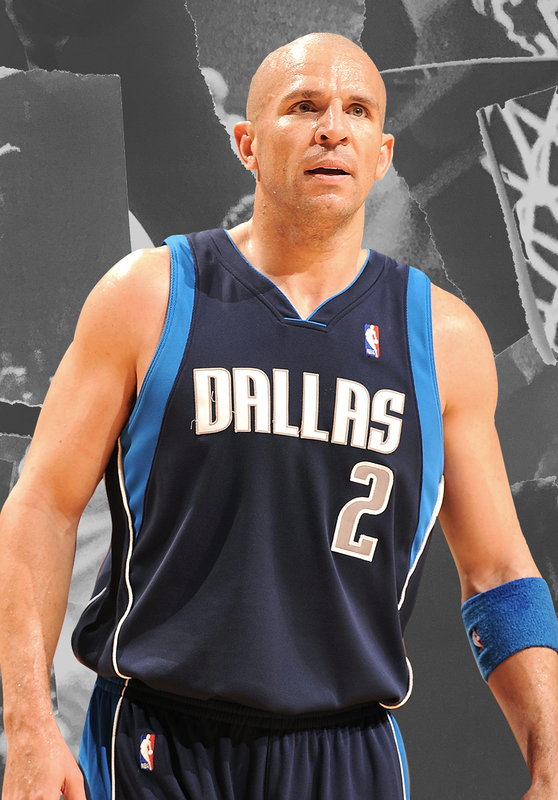 Kidd, an All-NBA point guard for six seasons, was very much the successor to Earvin “Magic” Johnson and John Stockton. Durant’s body of work is hardly done but so impressive, including joining just eight other players in the 50-40-90 club (shooting at least 50 percent from the field, 40 percent from behind the 3-point line and 90 percent from the foul line) for at least one season. We argued long and hard about Steve Nash, who never made it past the Western Conference finals. Steve Nash lays up a shot against Shaquille O’Neal during the NBA game Dec. 21, 2009, in Phoenix. 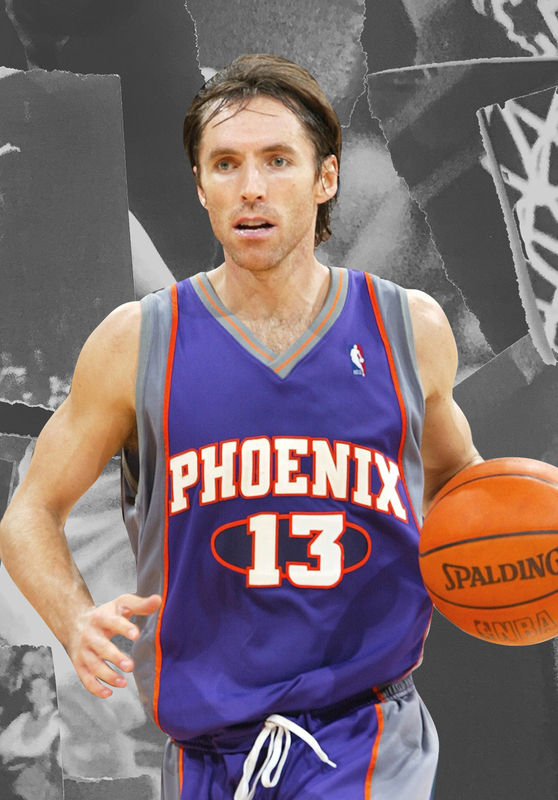 “Steve Nash? Why?” asked O’Neal, when shown The Undefeated’s additions to the Top 50. When reminded that Nash was a two-time MVP who directed some of the league’s greatest fuel-injected offenses, O’Neal emailed back, “Stop it!” and cut off further electronic communication. McCallum, the former Sports Illustrated NBA writer and one of the original voters on the NBA list, did not include Nash on his own updated list from a year ago. And he even wrote a book about the Phoenix Suns’ Pop-a-Shot existence under Nash and Coach Mike D’Antoni. “It hurt” excluding Nash, McCallum admitted. Stephen Curry was also fiercely debated, mostly because his eight-season body of work may not even be halfway done. But The Undefeated’s Domonique Foxworth successfully argued that Curry’s long-range game has changed basketball in the way George Mikan made the NBA widen the lane in the 1950s. 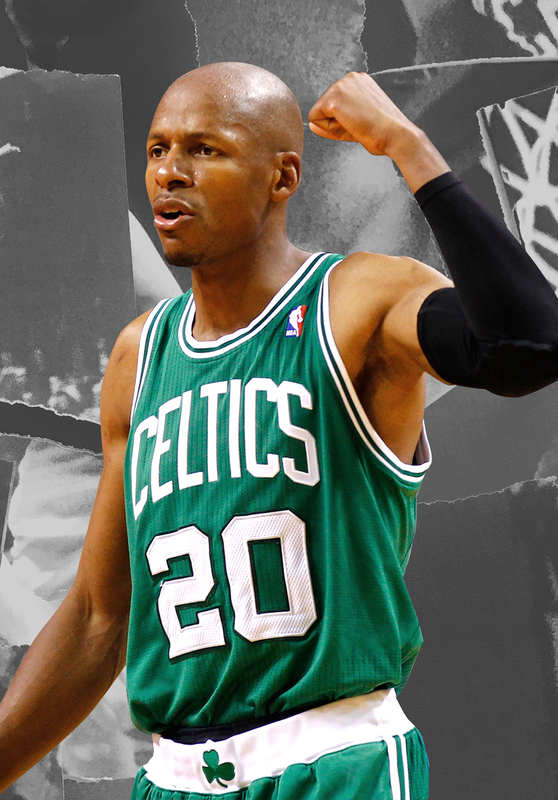 Paul Pierce, Reggie Miller and Ray Allen were late additions. Yeah, their numbers were off the charts. And aside from Bryant, if a final shot were to be taken, you wanted Pierce, Miller or Allen to square up and win the game for you at the buzzer. But as one panelist remarked, only Miller truly carried his team as the unquestioned alpha male. And while the Indiana Pacers were annual contenders, they only went to one NBA Finals with Miller, losing to the Los Angeles Lakers in 2000. 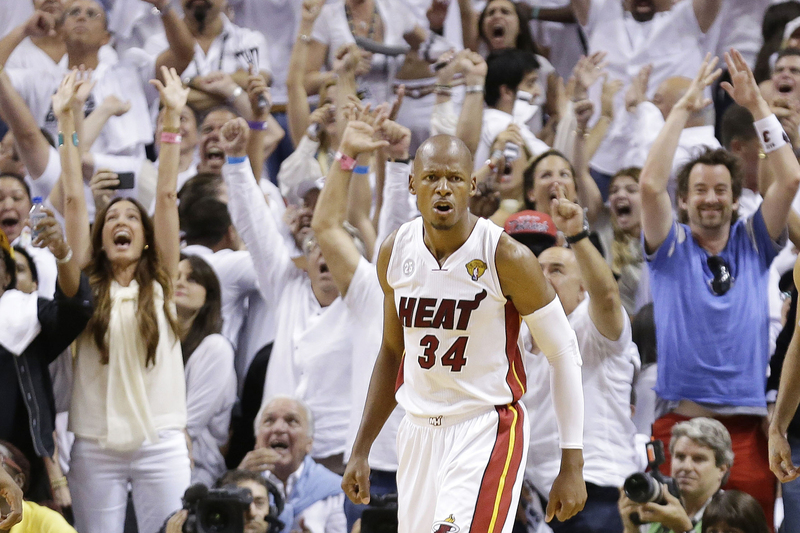 Miami Heat shooting guard Ray Allen reacts to a shot that took the game into overtime during the second half of Game 6 of the NBA Finals against the San Antonio Spurs, Wednesday, June 19, 2013, in Miami. The Miami Heat won 103-100 in overtime. The only thing harder than deciding to put Pierce, Miller and Allen on the team was figuring out how to make room for them. Some old-timers had to be dismissed: DeBusschere, Bill Sharman, Lenny Wilkens (his coaching numbers were much better) and Schayes, who was an awesome big man in the Paleolithic era, were among the first to go. But when you start cutting Drexler and James Worthy, whose highlights still play on a YouTube reel, and Bill Walton, whom John Wooden once called the game’s greatest passing center, it feels like a dental drill hitting a nerve. We do. But we still needed to make cuts. 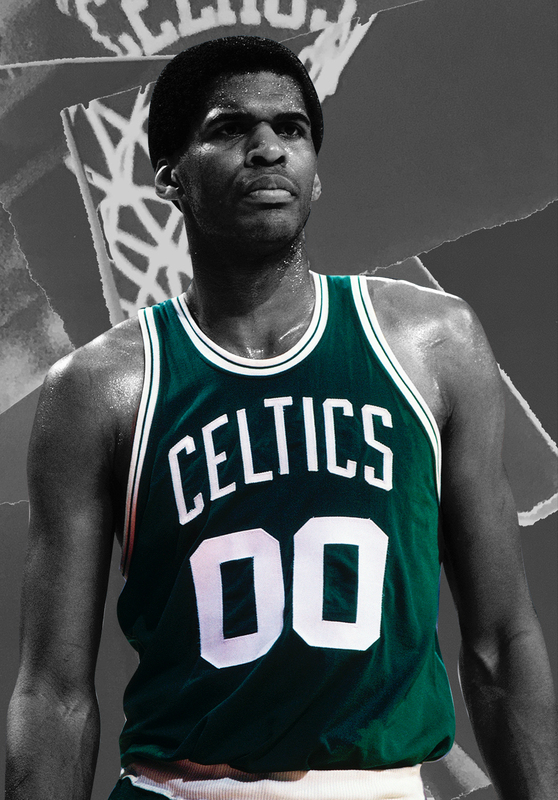 We cut six players who either starred for or won championships for the Celtics: Sharman, Walton, Sam Jones, Parish, Dave Cowens and Nate Archibald. Several pleas were made to save “Tiny”: Archibald, at barely 6 feet, was the Iverson of his day. Araton asked that Nate Thurmond be sacrificed instead. Getting rid of Unseld and Dave Bing was tough because they both came to symbolize the cities they played for (Baltimore and then Washington for Unseld, and Detroit for Bing). DuPree, who was at USA Today for 26 years and the Washington Post for five, said he would have chosen Manu Ginobili for the new list and cut Hal Greer. He was particularly upset about Unseld, whose outlet pass he believes was as important to the game as Abdul-Jabbar’s skyhook, George Gervin’s finger-roll and Iverson’s crossover. Nance proposed getting rid of Jerry Lucas and Greer to make room for current guys. McCallum kept Bing, Cowens, Walton, Drexler and Schayes on his list. He had Walton as the 32nd greatest player in the history of the game, so The Undefeated’s list is pretty much blasphemy to him. He axed Billy Cunningham, Maravich, Thurmond and, sin of sins, Earl “The Pearl” Monroe. Araton, too, wanted to drop Monroe (for Pierce). “Forgive me, Black Jesus,” Araton lamented. The harsh truth is many of our own staff, young and old heads, wanted to cut Monroe too. As they perused his modest numbers next to the current stars’ gluttonous stat lines, the cut nobody wanted to make was about to happen. But we couldn’t do it. 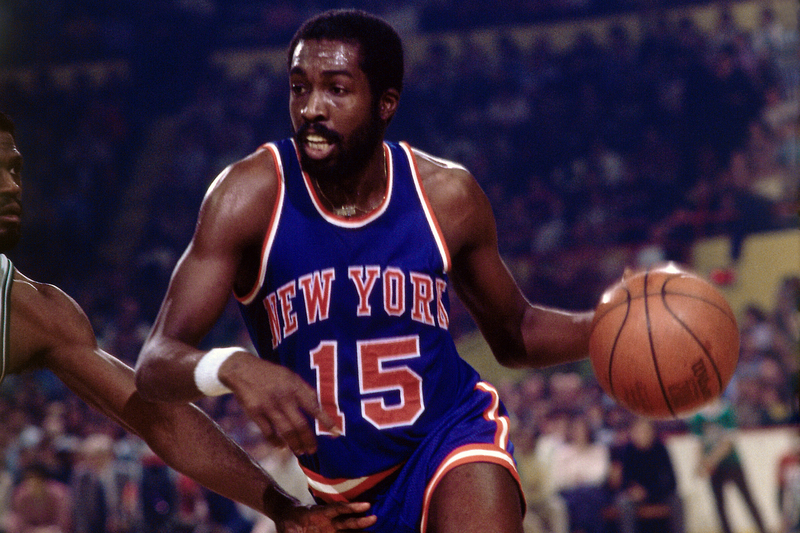 Earl Monroe of the New York Knicks drives against the Boston Celtics during a 1970 game at the Boston Garden. We know what Monroe meant to the game. 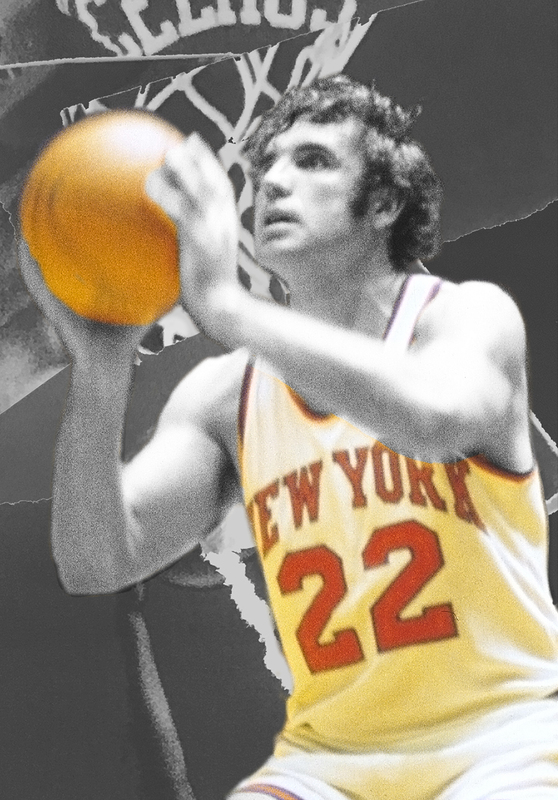 We know that if he hadn’t left Baltimore to join the greatest group of passers of their time, the early 1970s New York Knicks, his numbers would have doubled. We know that Vernon Earl Monroe, of Philadelphia’s playgrounds and Clarence “Big House” Gaines’ legendary historically black college program in Winston-Salem, North Carolina, had almost as many nicknames (The Pearl, Black Jesus, Black Magic, Einstein, The Lord’s Prayer, Thomas Edison) as Dikembe Mutombo Mpolondo Mukamba Jean-Jacques Wamutombo had syllables in his full name. He is still deserving all these years later. “You know me, I’m as humble as they come,” Monroe said when reached at his New Jersey home. “But when I look at the game, this is the game I brought into play: the moves, the creativeness, the improvisation in midair. I look it at all as a salute. It should be noted the NBA’s 50th Anniversary list, which was assembled by a panel of media, former players and coaches and team executives, also had real controversy. For instance, few understood why O’Neal, with just four years of experience, should be included in a list of all-time greats. Twenty years later, O’Neal is a lock, of course. But back then he was just a big kid who knocked Wilkins, the human highlight reel, and Bob McAdoo, an NBA MVP, off the list. Two decades later, Wilkins has let bygones be bygones. Sort of. Removing Pistol Pete stung. O’Neal campaigned passionately for him. But Undefeated NBA writer Marc Spears, the chief collaborator and co-arbiter of our Top 50 list, was more pragmatic than sentimental in his deliberations. He even felt we were a little early in naming Curry to the team. Indeed, sorry, Pistol. And Big Bill. And Tiny. And The Glide and Big Game James. We had to make room for Duncan, the greatest power forward of all time; and Bryant, who took the torch from Jordan; and James, who took the torch from Bryant; and Curry and Durant, who will soon take the torch from James. Cycle of life, cycle of the game. We make room for the next generation of supernovas. Is it too early to start debating whether Lonzo Ball should be on the NBA’s 75th Anniversary Team in 2022 — which will be five years after he entered the league? No, it is not. Just ask his father. 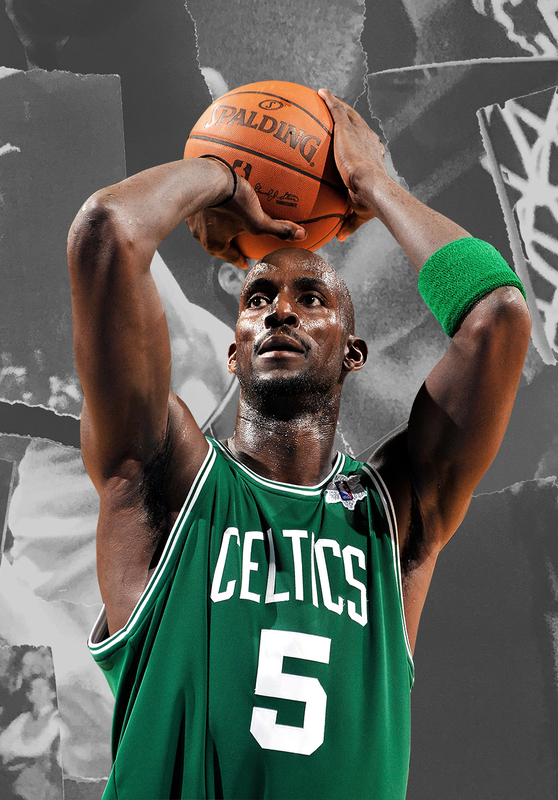 He broke Reggie Miller’s all-time 3-point record in Boston (with 2,973 for his career, Stephen Curry is still more than 1,000 behind), broke Kevin Garnett’s and Paul Pierce’s hearts when he left the Boston Celtics for Miami, and he devastated San Antonio with a 3-pointer to tie Game 6 of the 2013 Finals, the most clutch shot in Finals history. After averaging more than 20 points per game early in his career, the man who played Jesus Shuttlesworth in He Got Game morphed into — apologies, Robert Horry — the most indispensable role player of all time. 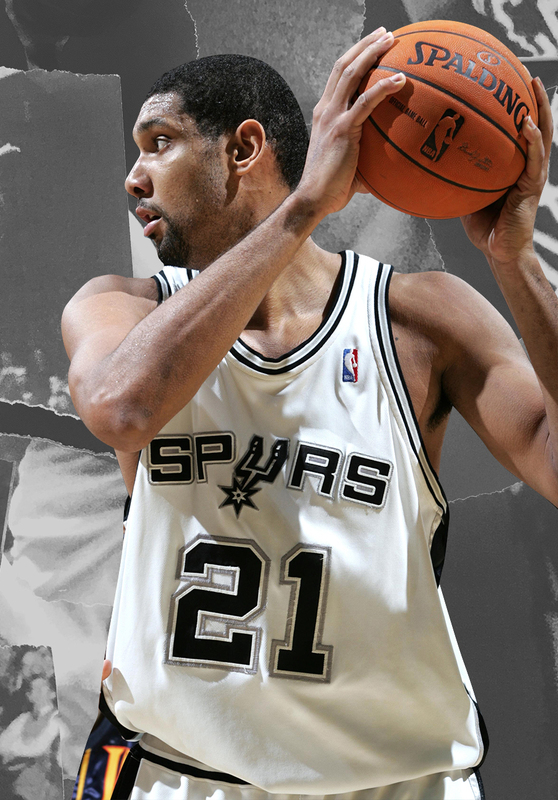 For 11 of his 20 seasons he was first-team All-NBA. The biggest knock on the Black Mamba is he was the second-best player on the Los Angeles Lakers for three of his five titles. But Kobe took an underwhelming roster minus Shaquille O’Neal to three straight Finals between 2008 and 2010, winning twice. His deadly baseline fadeaway, right foot kicking out, tongue askew, was nearly a carbon copy of Michael Jordan’s. 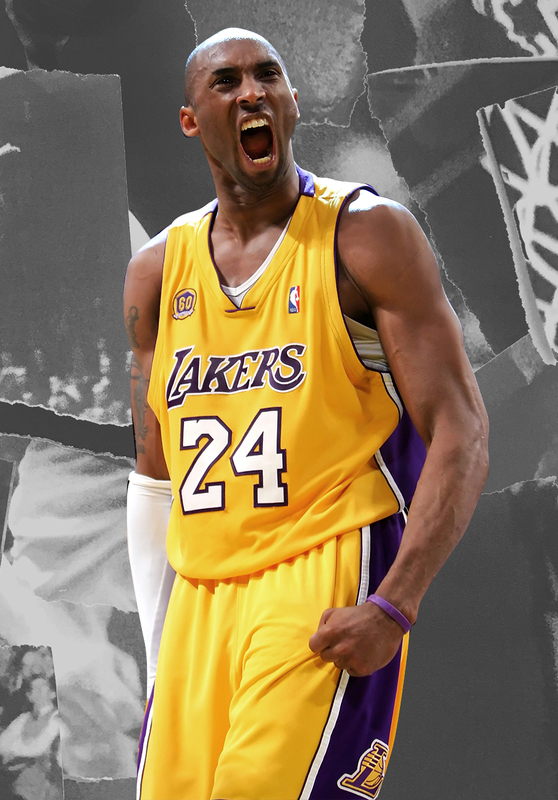 Despite all of the Lakers’ drama, Bryant passed Jerry West as the franchise’s leading scorer and played for the same team for 20 years. He’s won a scoring title, two MVPs and two NBA championships — and he’s just 29. Curry’s greatest gifts are squaring and firing effortlessly from 25-35 feet away, as if he’s shooting a free throw, and stutter-stepping through the lane and converting a left-handed circus shot high off the glass. Even his pregame two-ball dribbling drill elicits awe. Curry is the only NBA player to make 13 3-pointers in one game and 402 in a single season (obliterating his own record of 286). He is the greatest power forward in the history of the game. A five-time NBA champ, two-time MVP and three-time Finals MVP, he was the only player to be selected to both the All-NBA and All-Defensive teams in each of his first 13 seasons. His perseverance matched his longevity (19 seasons). Thought to have won his last title in 2007, he endured six years of playoff disappointment until he led the San Antonio Spurs past LeBron James and the Miami Heat for his final championship in 2014. 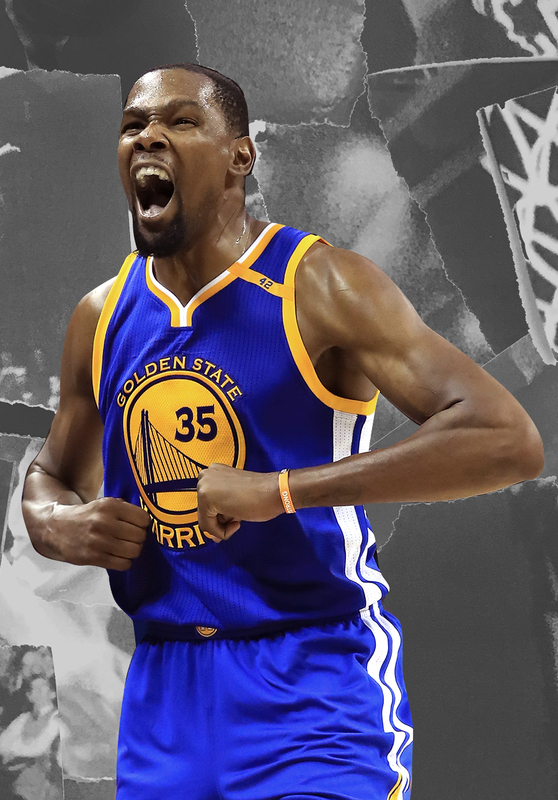 Called “The Slim Reaper,” “The Durantula” or just “K.D.,” Durant has established himself as one of the top three players of his generation alongside teammate Stephen Curry and LeBron James. His decision to leave Oklahoma City in 2016 and join the Golden State Warriors left himself little margin for error. But after winning his first title and being named Finals MVP in June, everything was validated. 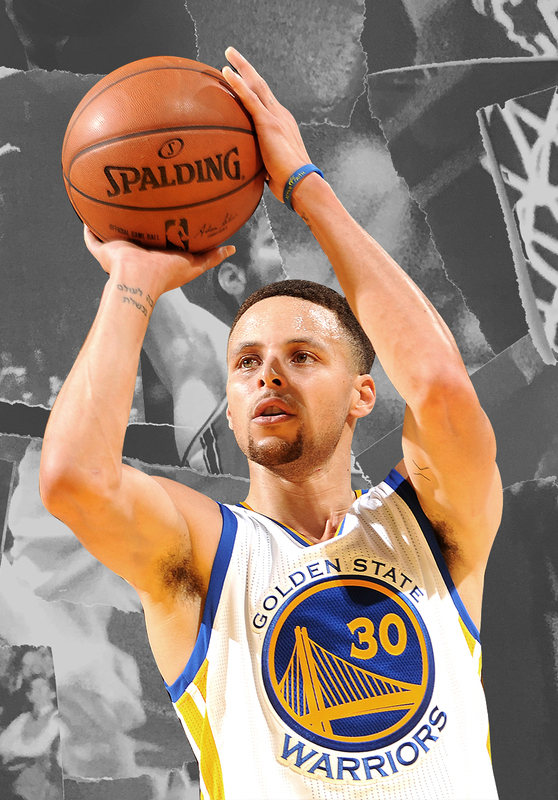 He’s been named to the All-NBA first team five times, holds four scoring titles and, like Curry, is only 29. With 15 All-Star selections in 21 years, four straight rebounding titles from 2004-07 and easily the most lethal sneer in league history, K.G. was talent, ’tude and everything he was predicted to be when he entered the league in 1995. He once quipped to Patrick Ewing at the Madison Square Garden scorer’s table, “What’s up, Gramps?” The Kid finally became the king in 2008 in Boston, carrying two franchises at different times during his spectacular career. He won four scoring titles and became a touchstone for a generation of fans who loved his defiance and heart as much as his crossover. A.I. was the best little man to play the game since Isiah Thomas, fearlessly venturing into the trees, getting sent violently to the floor, only to rise again and score. He also took a team with a supporting cast of Aaron McKie and Eric Snow to the 2001 Finals against Shaquille O’Neal and Kobe Bryant, still one of the greatest one-man accomplishments in league history. Iverson was Rocky Balboa in cornrows and tattoos. He is simply the greatest preps-to-pros player, edging out Kobe Bryant, Kevin Garnett and Moses Malone. He’s been to more NBA Finals than Michael Jordan (8 vs. 6) and had less of a roster in at least three of those Finals (bless Boobie Gibson’s heart in 2007). He can play any position on the court at any time and still puts dimes on his teammate’s palms at 32. When God decided to make the perfect basketball player, he made M.J. 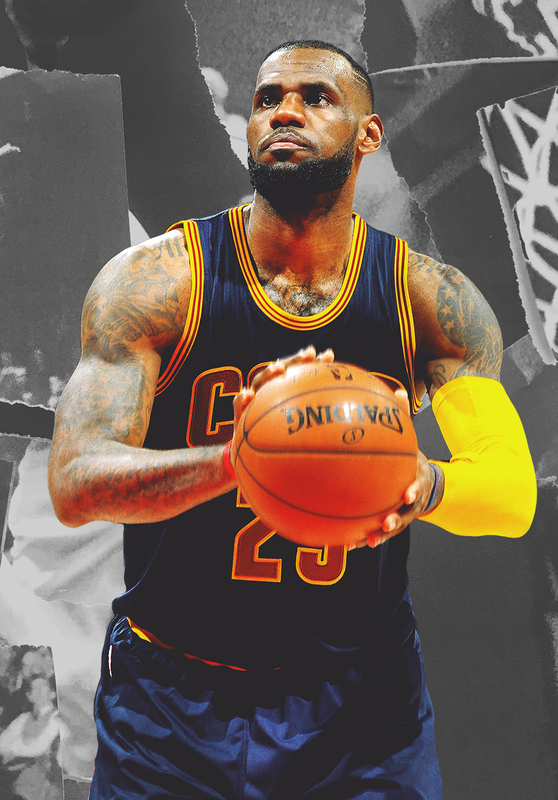 When he decided on an upgrade, he made ’Bron. The only player in NBA history to record more than 15,000 points, 10,000 assists and 7,000 rebounds, Kidd was a multifaceted blur with the ball. He still has more triple-doubles than anyone besides Oscar Robertson and Magic Johnson, whose no-look passes his were often compared to. 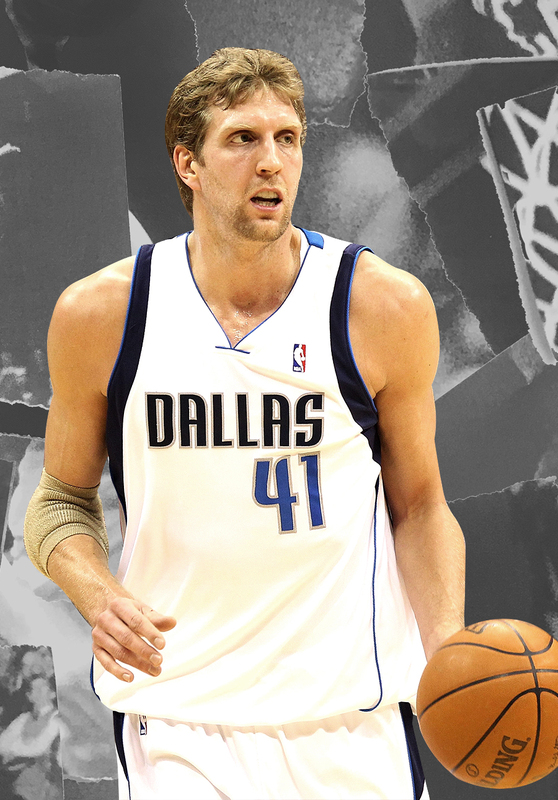 He led a pedestrian Nets team to two NBA Finals and finally got his ring with Dirk Nowitzki and the Dallas Mavericks in 2011. With apologies to Gary Payton, Kidd is the greatest player from Oakland, California, since Bill Russell. Beyond the 3-point bomb he shot with aplomb, beyond his ability to curl around three screens to free his 6-foot-7, corn-silk-thin frame for a shot, Miller’s greatest trait was his ability to crawl beneath an opponent’s skin. It wasn’t just John Starks or Spike Lee at Madison Square Garden; he annoyed everyone. 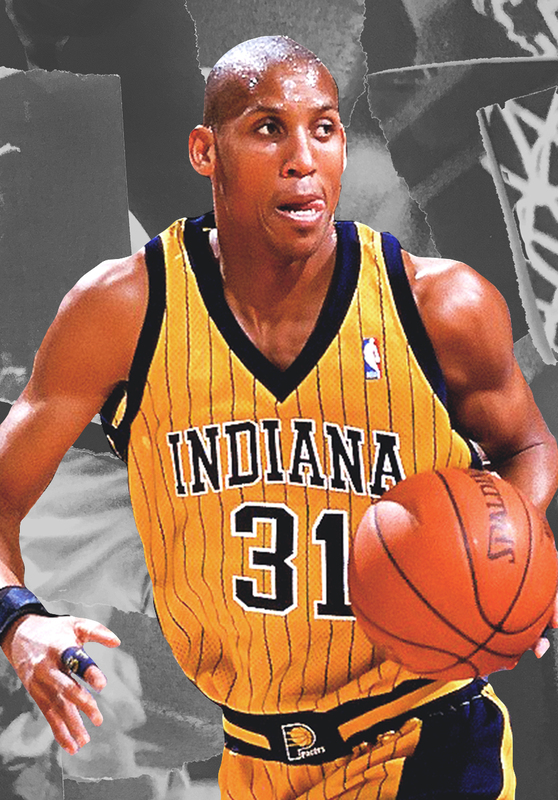 The force of his personality alone made the Indiana Pacers a contender. He is still the only player to score eight points in 8.9 seconds in the playoffs — which he did in a Game 1 win over the Knicks in the 1995 Eastern Conference semifinals. A two-time MVP, he led the NBA in assists five times and for four seasons joined the exclusive 90-50-40 Club (90 percent from the free-throw line, 50 percent field goal accuracy, 40 percent on 3-pointers). Nash was also a bridge to the new NBA that featured fewer Heat-Knicks scrums and more ball movement. As maestro in Dallas and Phoenix, he directed two of the league’s most pulse-checking offenses. He was robbed of a chance to play in the Finals when the San Antonio Spurs punked the Phoenix Suns and the Suns left the bench in 2007. Yes, they called him “Irk” at first, because he played no “D.” But the German developed the most unstoppable offensive weapon since Kareem Abdul-Jabbar’s skyhook: a step-back jumper, accurate from 6 to 28 feet, launched by a 7-foot man playing like a shooting guard. The sixth all-time scoring leader, he once made 82 consecutive free throws and is one of just six players to average more than 25 points and 10 rebounds in his playoff career. A 12-time All-NBA selection, he willed the Dallas Mavericks to their lone title, upsetting LeBron James and the Miami Heat in 2011. He actually played two more seasons in Boston (15) than Larry Bird did. 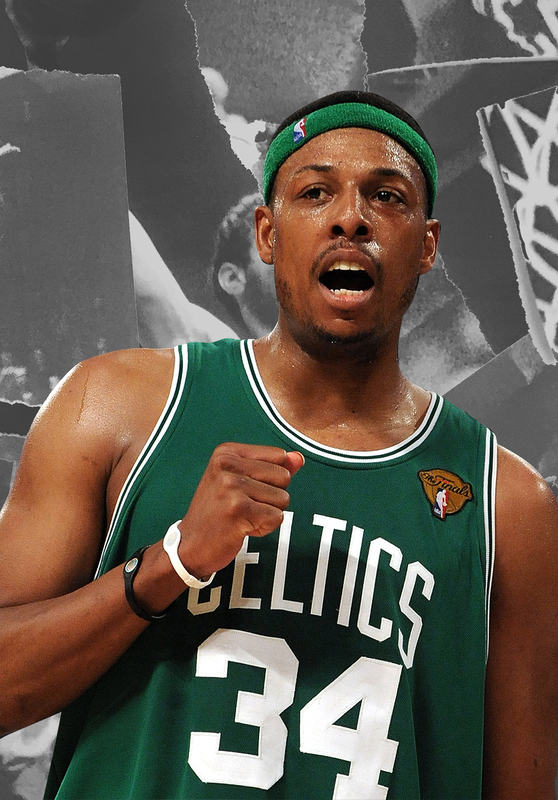 For a time, notably the 2008 NBA playoffs and Finals, Pierce supplanted Kobe Bryant as the best player in the game. His penchant for clutch shots at the end of taut playoff contests continued almost until his retirement last season. Shaquille O’Neal gave him the nickname “The Truth” in 2001, and it stuck. He once scored 46 points in the second half of a game vs. New Jersey. D-Wade is often viewed as a second banana, a la Scottie Pippen, ever since he teamed with LeBron James in 2011. But before and after James’ arrival, Wade was the show for the Miami Heat and especially good in the crucible of big games. 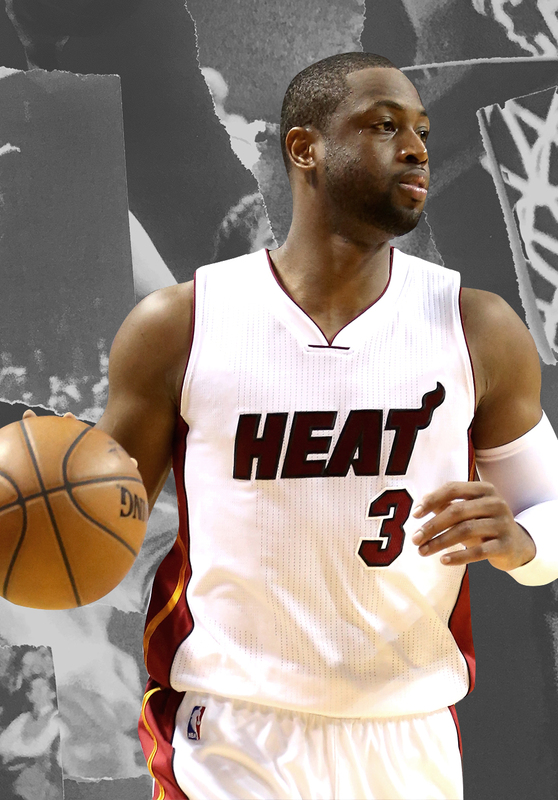 His first of three titles came in 2006, when Wade brought the Heat back from a 2-0 deficit and was named Finals MVP. Little-known fact: If he hadn’t hit some big shots late in the 2008 gold-medal game vs. Spain, a team of NBA players would have finished without gold for two straight Olympics. He was the only player to lead the league in both scoring and assists in his time (34 points and 11.4 assists per game in 1972-73). This was a hard one, because “Tiny” was Allen Iverson before A.I. — 6-foot-1 on his tippy-toes, maneuvering through a forest of 7-footers — when big men played like big men. But until he got to the Boston Celtics, he was stuck on the lowly Cincinnati Royals and Kansas City Kings. He won a title with Larry Bird during Bird’s second year. But by then, Archibald was a role player. The problem with keeping Bing was the problem with keeping so many guards from his era. The little men simply didn’t control the game like they do now. 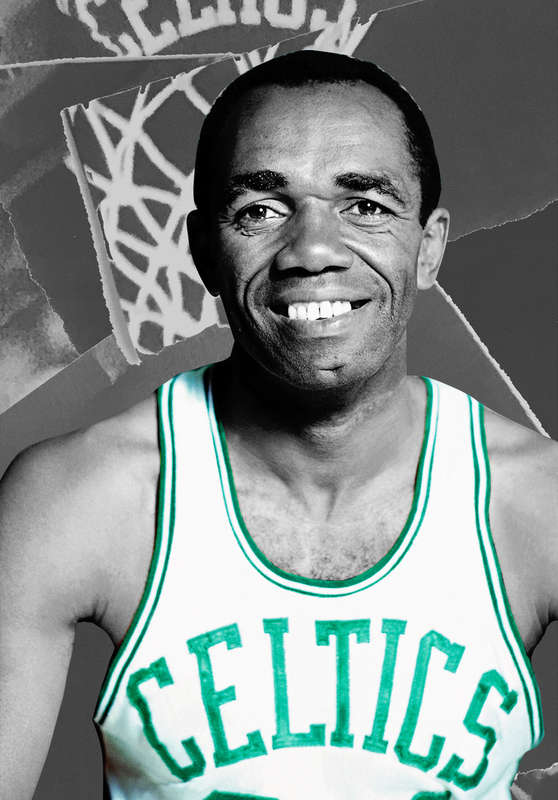 Bing was money, once leading the league in scoring (27.1 points per game in 1967-68). He was the best all-around backcourt player after Oscar Robertson from the mid-’60s to early ’70s. Still, the Big O, Jerry West and Walt Frazier were just a cut above. Maybe it’s because they all won titles. Maybe it’s because Bing didn’t have the supporting cast in Detroit that they did. Cowens was the first full-time Boston Celtic we cut from the Top 50. Without Cowens, who led Boston to championships in 1974 and 1976, there are no Celtics titles between Bill Russell and Larry Bird. He was the embodiment of hustle. And having to guard Wilt Chamberlain and Kareem Abdul-Jabbar at only 6-foot-9 was maybe the greatest defensive ask of all time. Yet he wasn’t among the top three or four big men during his career. If he had stayed on the list, we’d have to keep all the plodders of yesteryear. He’s the main reason Walt Frazier, Willis Reed, Bill Bradley and Earl Monroe were able to move, pass and shoot so fluidly. Big D was just 6-6, but other than Charles Barkley, he played larger than anyone in league history for his size. He guarded Wilt Chamberlain, Kareem Abdul-Jabbar and Nate Thurmond, mixing it up with anyone in a much more physical era. Averaging 16 points and 11 rebounds at Madison Square Garden definitely helped his Top 50 candidacy. But DeBusschere had to make room for the gazelles of the past 20 years. How to explain nixing Clyde “The Glide”? Being a member of the 1992 Dream Team should give him lifetime membership on any Top 50 team. He skywalked, scored, cut off passing lanes. And yet, he was born at the wrong time. He could never scale Michael Jordan, Magic Johnson or Larry Bird, and it wasn’t until he joined Hakeem Olajuwon at the tail end of his career that Drexler won a title. 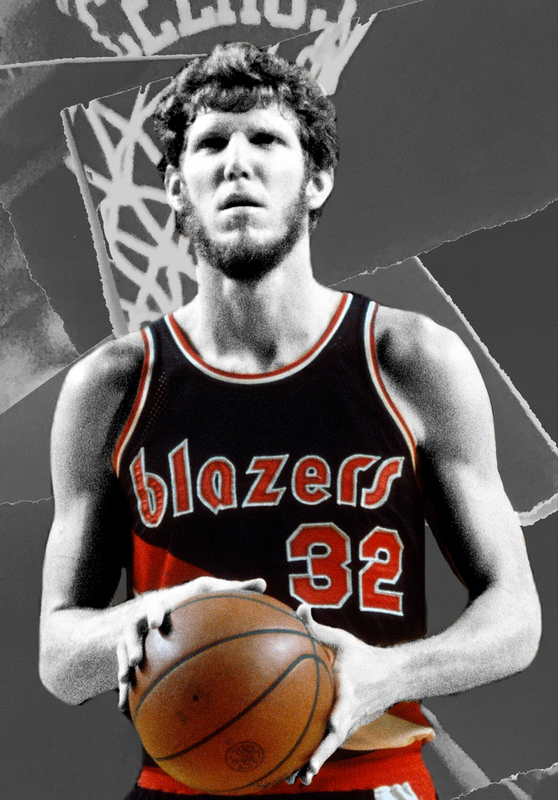 Still, it’s tough cutting a player more popular in Portland than Bill Walton or Damian Lillard. Apologies to all his Phi Slamma Jamma brethren at Houston. His career averages of 17.7 points, 4.9 rebounds and 2.5 assists don’t really do him justice. He was clutch before Kobe Bryant and Michael Jordan and used the glass with efficiency like few players other than Tim Duncan. He made five All-Star teams, but let’s be honest — without Bill Russell, Bob Cousy and that incredible dynasty that Red Auerbach created, he’s not one of the greatest players in league history. It’s blasphemy to type that when a man has helped any team win 10 titles in 12 years. But it’s true. We refuse to get sentimental about “Pistol Pete.” He had 10 very good NBA seasons. 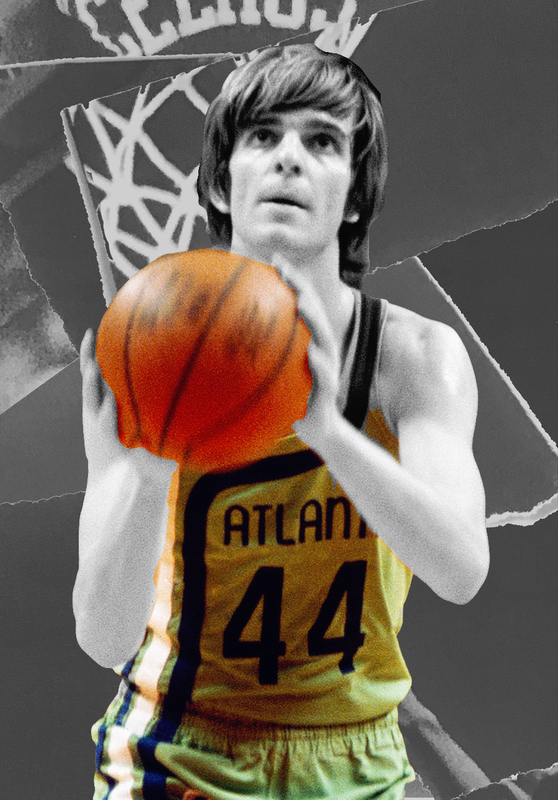 But when it comes to Maravich, the word “great” is followed by “showman.” That’s not a bad thing. Just ask Magic Johnson or Jason Kidd. Yet, he was more of a college legend than an NBA all-timer. He played on some bad New Orleans teams. 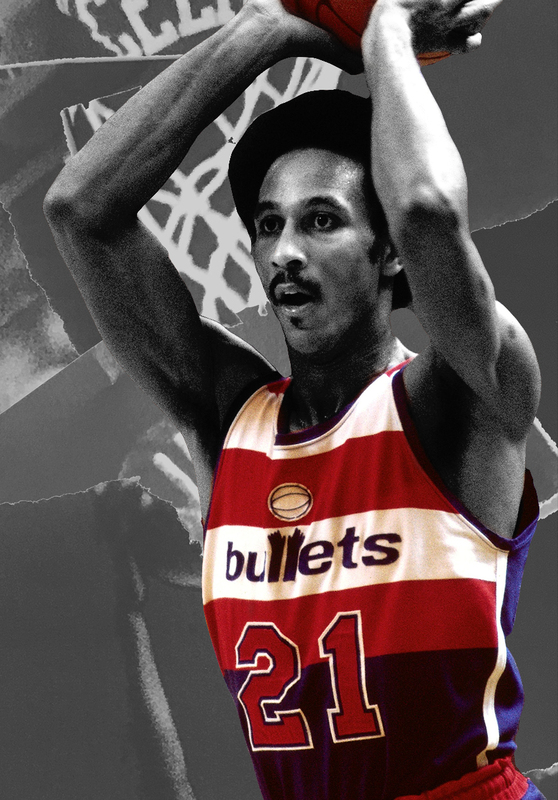 He was a pioneer in no-look passes and masterful ballhandling, much like the Harlem Globetrotters’ Marques Haynes. If mixtapes existed in the 1970s, he would have been Skip to My Pistol. Chopping off one-third of a Big Three doesn’t feel fair. But picking the Top 50 over the past 70 years isn’t fair either. 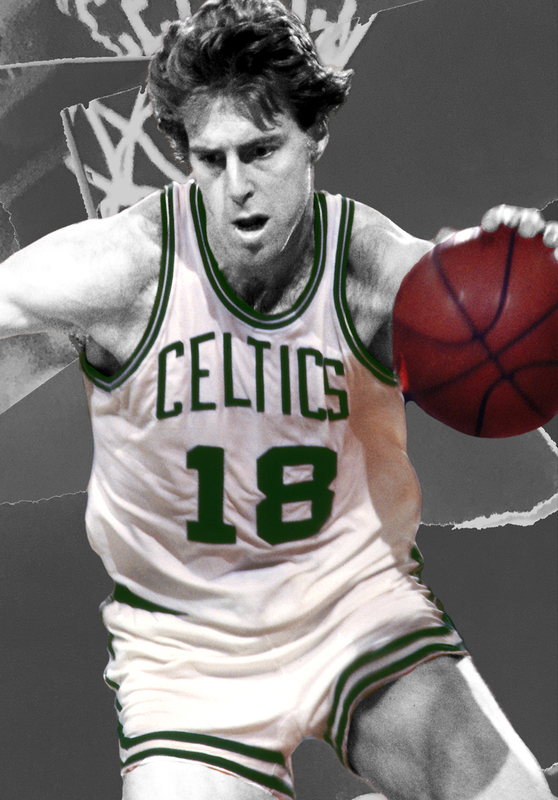 Parish was an important link in many championship teams, but ultimately Larry Bird and Kevin McHale were more seminal to the Boston Celtics’ success. Perhaps we’ll be accused of being anti-Celtic. But that’s not it. Parish was one of the greatest centers of his generation. He just wasn’t one of the greatest centers of all time. It’d be hard to put him in the top 10. He led his team to the playoffs in 14 of his 15 seasons. 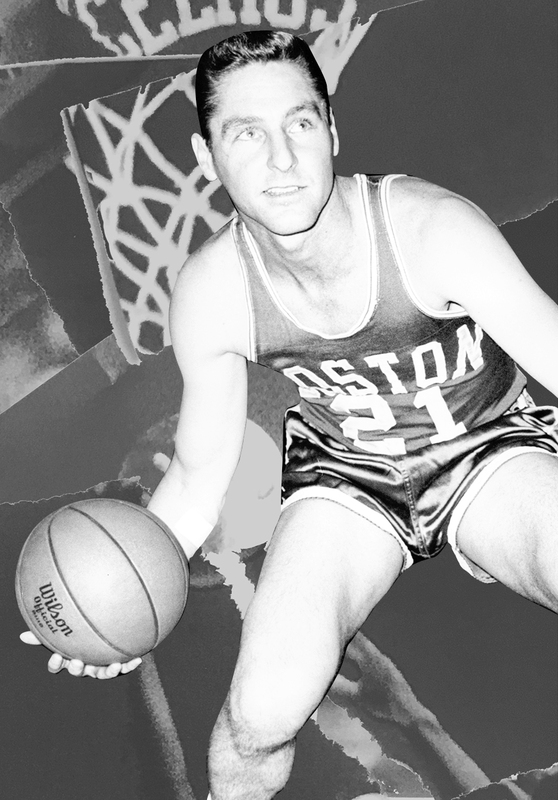 He led the NBA in rebounding in 1951 and was one of the great scorers and centers of his time. Danny Schayes, his son, was among the first players to follow his father into the NBA. 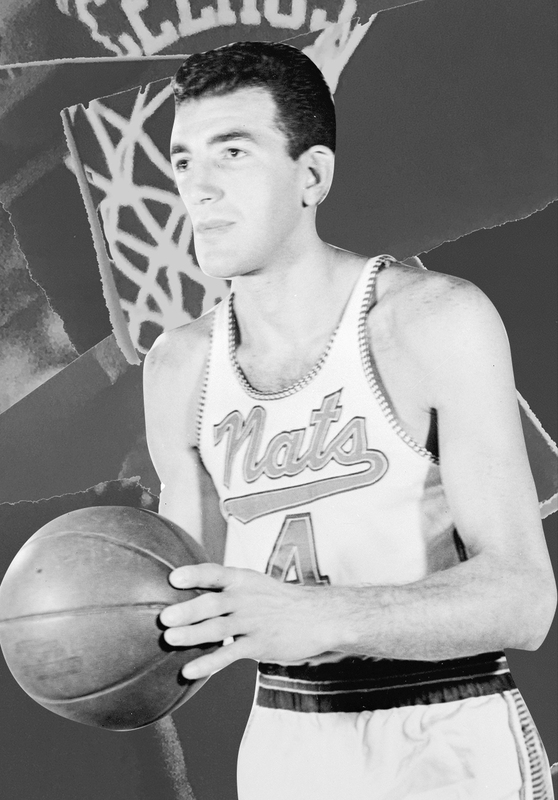 There’s nothing bad we can say about Dolph Schayes, still regarded as the greatest Jewish basketball player of all time. We just couldn’t keep all the pre-1970s stars. He averaged less than 18 points, less than 4 rebounds and 3.0 assists per game. 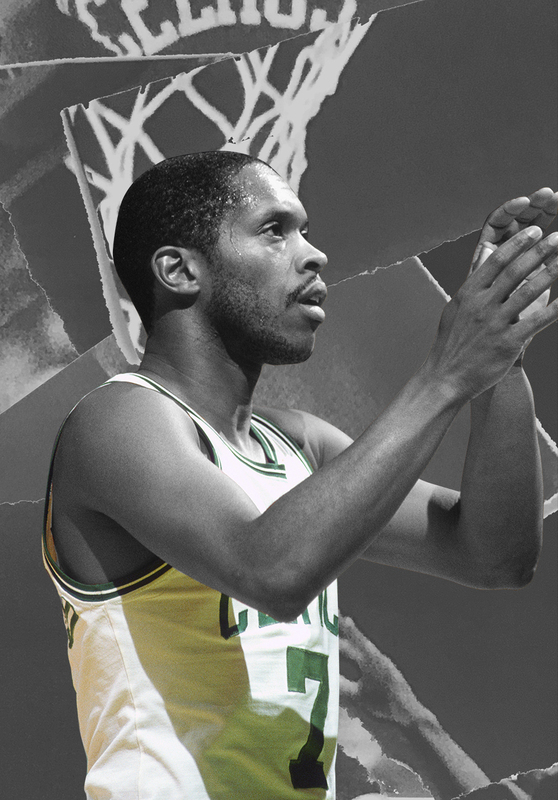 Sharman is still thought of as one of the all-time great Celtics. But his claim to being one of the all-time top players fades with time. 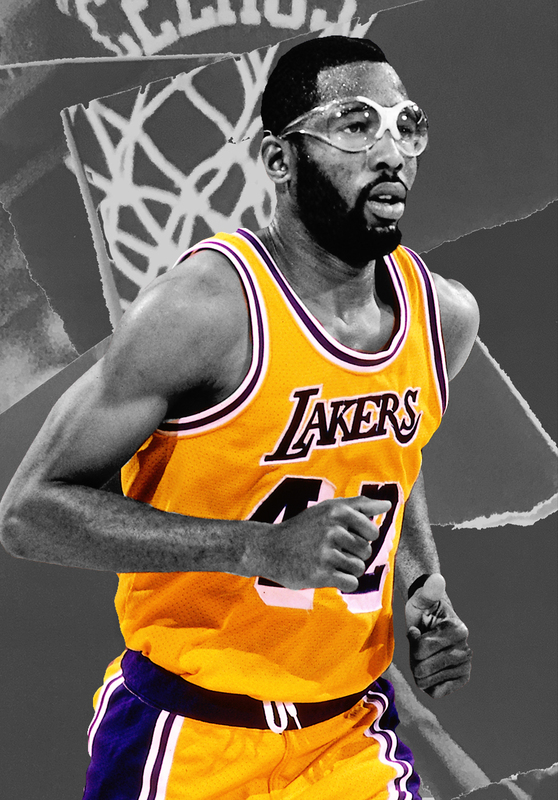 One trivia note: He started morning shootarounds for NBA players as the coach of the Los Angeles Lakers in the early ’70s. Wilt “The Stilt” Chamberlain didn’t like this. Legend has him telling Sharman, “You can have me in the morning or in the evening. You decide.” Sharman said Wilt was willing if it led to winning. 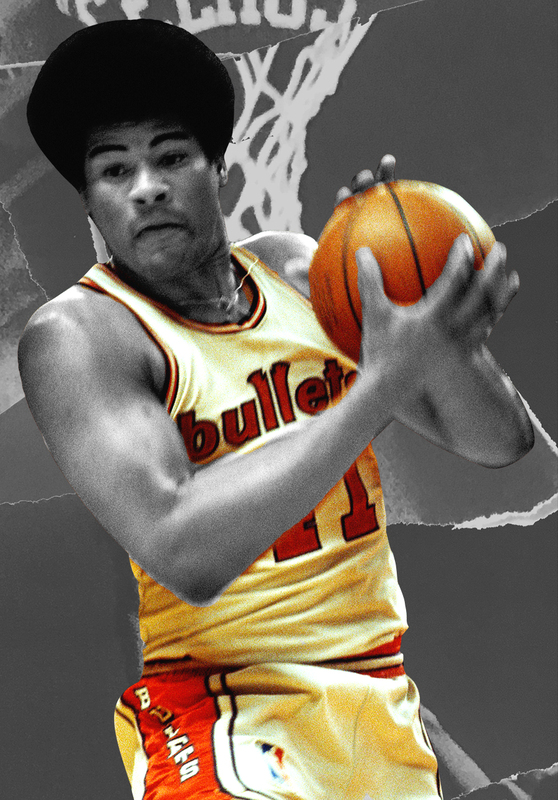 No one played bigger for his size than Unseld. He was a 6-7 bear of a man who ably defended the 7-footers he competed against. His embrace of team owner Abe Pollin after the Washington Bullets won the 1978 NBA title in seven games over Seattle is still among the most touching sports photos ever taken. But he was first-team All-NBA just one time, and his place on the Top 50 was a casualty of his style of play as the game changed over the past two decades. Contacted about this list, Walton simply said, “I’m not into self-immolation.” Neither are we. While Walton’s career numbers of 13.3 points, 10.5 points and 2.2 blocks per game weren’t otherworldly, he was as dominant as they came when healthy. Had he not missed so many games because of multiple surgeries to his foot, Walton would never be subtracted from any all-time list. Indeed, this was one of the most brutal cuts we made. He was unselfish, played in-your-grill defense and was easily one of the game’s elite floor leaders during his era. But he averaged less than 17 points per game for his career. 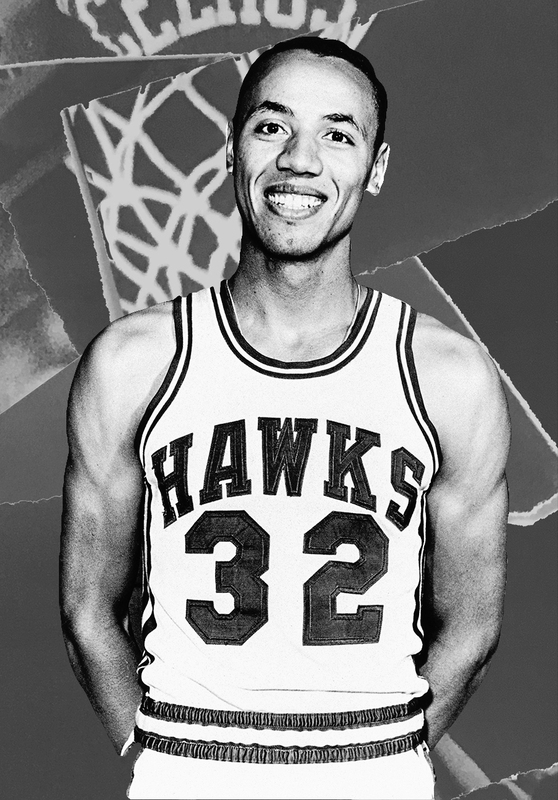 And he never played in a playoff game once he left St. Louis, where the Hawks never had been able to scale the Boston Celtics during Wilkens’ heyday as a player. How did we cut a three-time NBA champion and Finals MVP from a team of all-time greats, especially a guy who played on one of the most aesthetically appealing teams of all time, the Showtime Lakers? It wasn’t easy. But the decision came down to this: Worthy was never more than the third-best Laker after Magic Johnson and Kareem Abdul-Jabbar. Still, Big Game James elicited much debate. The Undefeated voting panel: Jerry Bembry, Michael Fletcher, Domonique Foxworth, Brittany Grant, Martenzie Johnson, Monis Khan, Brent Lewis, Marcus Matthews, Steve Reiss, Marc Spears, Brando Simeo Starkey, Justin Tinsley, Jesse Washington, Khari Williams, Lisa Wilson, Mike Wise.